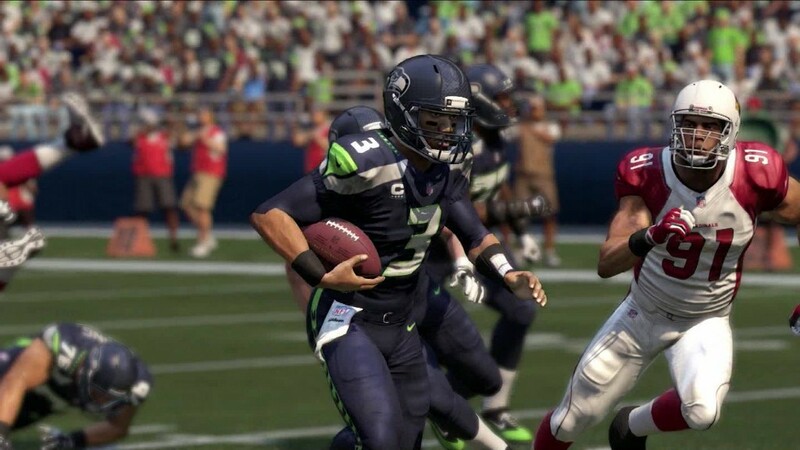 The National Football League is the by far the richest sports league in the world. But its popularity comes to a screeching halt at the U.S. border. Now it's trying to change that. This weekend American pro-football will return to London for the first of three NFL games slated to be played at Wembley Stadium this season. The New York Jets and Miami Dolphins will meet at 9:30 a.m. ET, a game timed for the overseas audience more than the fans at home. All three games are already sold out, with about 84,000 tickets per game. Additionally, each game is expected to be watched by about 1 million British households on the BBC. The NFL says about 90% of the tickets that it sells in London are to Brits, rather than ex-pat Americans. And viewership for the U.S. games that air in the UK doubled last season to about 13 million. Next up could be an NFL team based in London. The league has said it may have one by the end of this decade. 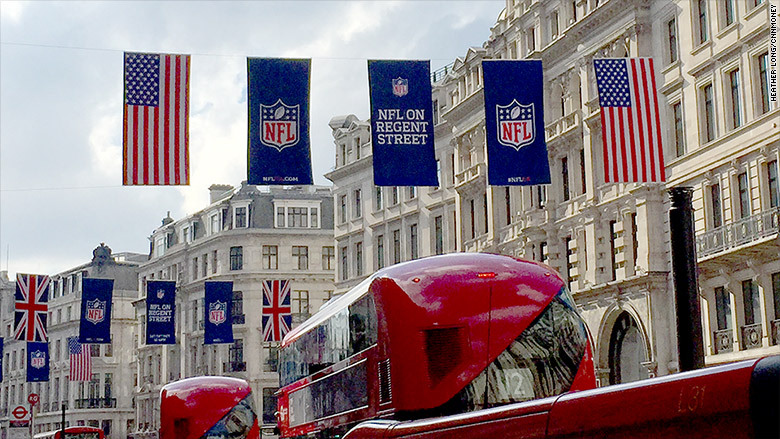 The NFL rolls into London again this weekend. Every major U.S. sport is scrambling to expand its fan base around the globe. But despite recent gains, the NFL still faces challenges attracting overseas fans. In fact, the popularity of American football in most foreign markets is well behind that of the National Basketball Association, Major League Baseball or the National Hockey League, even though it dominates those leagues in the U.S. The NFL tried to start a minor league in Europe but had to shut it down in 2007 -- a rare business flop for the league. But the league says that the solid attendance at the games in London proves the sport is establishing a beachhead there. "For us it's always about building a fan base where you can imagine a full season of games," said Mark Waller, NFL executive vice president in charge of its international business. "I think we're close." Andrew Zimbalist, a Smith College professor who is an expert on global sports, agrees American football is making progress. "They're just doing their best to expand their market, which is what any good capitalist company does," he said. The NFL does face a few unique hurdles. For instance, American football's rules are incredibly complex, which makes it hard for fans who didn't grow up with it to get into the game. That also makes it tough to get young people playing the game overseas. And it requires a ton of equipment, which also makes kids less likely to play, whereas for soccer or basketball all kids need is a ball and a few rules to get started. As a result, there are few foreign born NFL players and no major stars who could help to build fan interest outside the U.S.
By comparison more than a quarter of players in the NBA, MLB and NHL are from outside the United States and Canada, including many of the top stars. "American football is a terrific television product," he said. "The signs are that it can become very popular overseas."